A new film capturing the friendly face of Blackburn is being screened in the town’s museum. Blackburn Museum & Art Gallery premiered the new film Blackburn last week to an audience of the local people who feature in it. 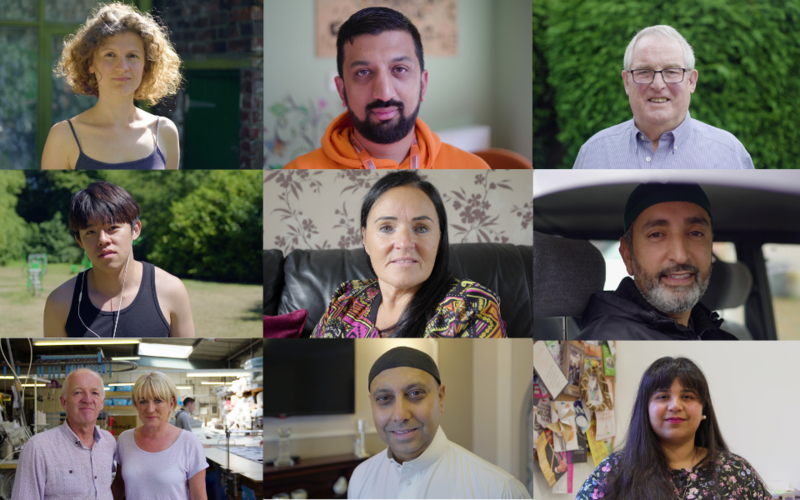 Made by filmmaker Antony Barkworth-Knight in collaboration with the British Museum, the 15-minute film features a whole host of people who feel proud to call Blackburn home. The film was made in the summer of 2018 after the museum tasked Barkworth-Knight with creating a film that would tell the story of contemporary life in Blackburn. We wanted to update our social history gallery to give the current picture of Blackburn and what it’s like to live here. As Antony set about spending time in our town centre, parks and open spaces, he found there was no shortage of people willing to engage with him and take part in the project. His film captures our diverse community really well and certainly shares their sense of pride in being able to call Blackburn home. Among the people who took part in the making of the film was Romanian woman Laura. She moved to Blackburn for work with her partner and they embraced the diversity and warmth they found here. Other participants in the film include people from different backgrounds talking about their cultures and faith, and others sharing stories of how they came to live in Blackburn and the welcoming community they found. The film also shows Blackburnians just going about their business and spending time together in the town’s parks. I wanted to create an intimate portrait of the town. I spent the summer of 2018 walking the streets and parks of Blackburn, filming what I saw. What I discovered was a calm, quiet and green town populated by some of the friendliest people I have met. It quickly became apparent that my film should represent this. In the film a lot of what you see are portraits of people who live in Blackburn. When we talk about big issues like segregation or community cohesion, we miss the point that we are all people living our lives. I wanted to make a film in which that was the main focus, so we see people as individuals rather than in terms of age, gender, culture or religion. What’s really satisfying is the reaction from a lot of those who took part in the film – having seen it now, they say that it captures the Blackburn that they themselves recognise. We’re very fortunate to have attracted a grant from the British Museum to fund Antony’s film project, to update our social history gallery. This gallery tells the story of Blackburn through the ages – the industries that have prospered here, the regeneration of our town, how our communities have formed – and Antony’s film provides an update through a number of people who belong to our diverse community. It’s heartening to hear that Antony’s early impressions of Blackburn were of a calm, friendly place with people keen to engage with him, curious and willing to get involved in his film. It’s quite lucky that he filmed during one of the best summers we’ve had in recent years too! I’m sure the film will attract plenty of people to Blackburn Museum & Art Gallery over the next few months. Antony Barkworth-Knight’s film Blackburn will be screened every day Blackburn Museum & Art Gallery is open, from January 2019. To check opening times, visit www.blackburnmuseum.org.uk. Watch the trailer for Blackburn the film.